2017′s home design trends are all about creating lush spaces by taking traditional designs and making them modern with unique color, texture and material choices. As far as color, experts suggest grays with warm beige undertones for living rooms and kitchens, and bold reds and rich caramels for bedrooms. When it comes to remodeling, homeowners are favoring upgrades that make day-to-day life more convenient and luxury. Although it may not be advisable to incorporate all these trends into a home you’re trying to sell, HomeAdvisor Chief Economist Brad Hunter says Realtors can use the following trends to help buyers imagine how a potential new home could look. “Ideas for changing color schemes, updating countertops and undertaking more significant remodels can be mentioned while showing the home, depending upon the body language and comments the shopper is making,” said Hunter. Furthermore, he noted that 2017’s trending renovations, such as “human docking stations” and “shedquarters” — along with upgrades, such as new appliances, countertops and cabinets — can help a home get sold quickly and at a higher price. Score! Bring the party home with a sleek built-in bar. The trend, which is a twist on 2016’s bar cart trend, is the perfect addition for homeowners who love to entertain. The bars add instant pizzazz to an otherwise traditional kitchen, plus offer built-in shelving for cocktail fixings, drinks, glasses and everything you’ll need for a ritzy night in. Is a built-in bar a little over-the-top for you? Then a colorful island is a simple substitute that offers extra room for mixing drinks and whipping up tasty snacks for family and friends. The key to nailing this trend and making it modern is choosing a contrasting color. Have a kitchen with a lot of warm hues? Choose an island in a cool shade, as seen in the photo below. Feeling colorful? Add a 1950s-style fridge in a vibrant hue to your kitchen. It might have been “hip to be square” in 2016, but 2017’s tile designs are all about experimenting with other geometric shapes — namely, hexagons. Go for a cool, monochromatic look as seen below, or choose a few complementary colors for a punchy focal point. If complex geometric shapes and bright colors aren’t your cup of tea, embrace a simple style with white accessories and wood countertops for a modern twist on country chic. See a pattern here? Clearly, 2017’s kitchen style heavily relies on tile to create focal points and direct the overall vibe of a kitchen. 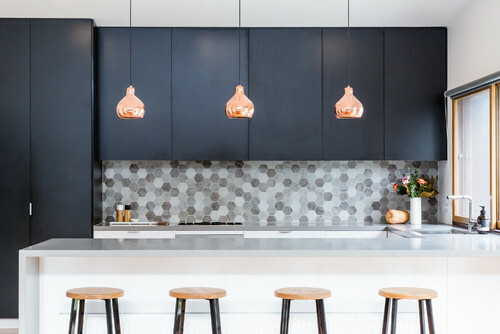 Homeowners who think a backsplash isn’t enough are covering their kitchens with full floor-to-ceiling and wall-to-wall tiles. Is tile simply not for you? If so, opt for marble in shades of white and light gray for countertops, flooring, tabletops and home accessories, such as serving platters and vases. Recently, Pantone released its 2017 color of the year, Greenery. Greenery is bright, lush and perfect for homeowners who want to bring the outdoors indoors. But Real Estate Staging Association CEO Shell Brodnax says sellers would be wiser to stick with neutral colors, such as grays with beige undertones. Brodnax favors Benjamin Moore’s color of the year, Shadow 2117-30, and Sherwin Williams’ color, Poised Taupe SW 6039, both of which are neutral tones that add understated warmth to a room. If gray is a little too dim, consider using a palette of beige-based neutrals to create a warm and cozy atmosphere. 11. Don’t forget the color! Designers and homeowners alike are favoring saturated jewel tones (such as emerald green and sapphire blue) in artwork, furniture and other home accessories. Another way to add color and texture to a space is with a velvet statement piece. Designers are adding the lush fabric on sofas, throw pillows and even curtains for a sultry look. 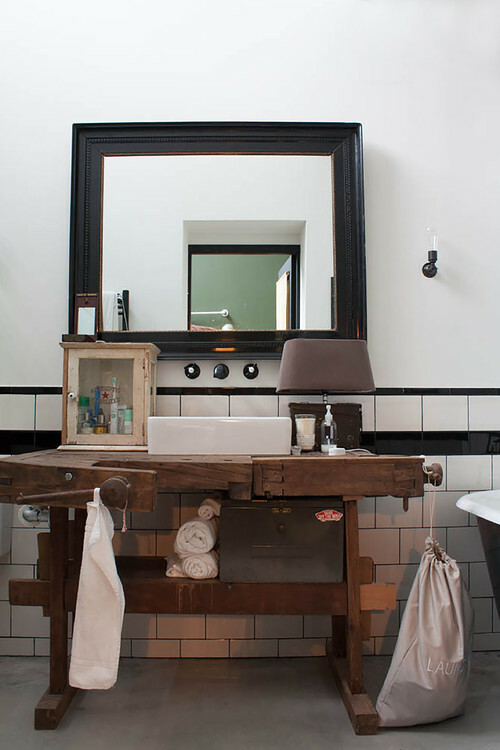 Vanities are making a comeback, and instead of reaching for pre-manufactured designs, homeowners are getting crafty by using chests of drawers, old file cabinets and vintage consoles to make one-of-a-kind pieces. 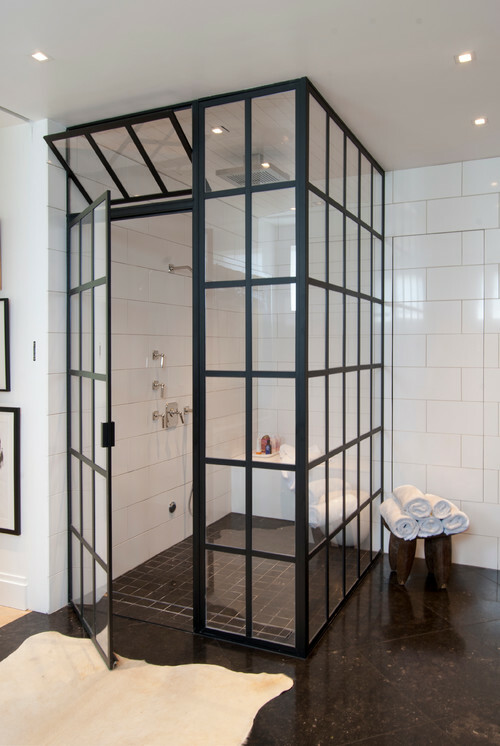 Take your shower to the next level with black steel and glass doors. The result is an understated chic space that allows plenty of natural light to come through. Instead of table lamps, consider hanging pendant lights in the bedroom to create a whimsical style. This option works especially well in small rooms where there’s no space for nightstands (or where you want to use your nightstand space for something besides a lamp). While neutral tones will be popular for living rooms, kitchens and bathrooms, warm, romantic colors will rule bedrooms. According to Houzz, colors like raspberry pink, deep ruby red, caramel and even black are the perfect shades to make a room that Cupid will want to stay in all year long. HomeAdvisor Chief Economist Brad Hunter says 2017 will be about lifestyle renovation projects that make day-to-day life convenient and more luxurious. “The kinds of projects that were deferred during the recession, and for several years after the recession ended [will be popular],” says Hunter. Hunter expects to see more multi-room remodels and other major remodels. People waited until their home’s value was well above previous levels before embarking on lofty projects. Hunter says that since Wi-Fi allows homeowners to work anyplace within the home, there’s less of a need for a home office. He notes there does have to be a place to store printers, file cabinets and so on, but in 2017 homeowners will opt for “docking stations” made out of a small equipment cabinet with a drop-down or pull-out desk surface to tackle quick tasks. Garages are notoriously misused as storage spaces, some with barely enough room for a car. Hunter says garages can be put to use by converting them into mother-in-law suites or as a guest room for family and friends. “The term ‘shedquarters’ has been used to refer to a small structure that is on the property, but outside the house, often utilized for home-based businesses,” says Hunter.